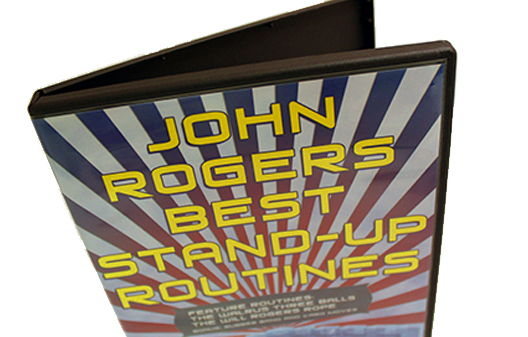 The Camirand Academy of Magic is proud to present two exceptional stand-up routines from the professional repertoire of award-winning magician John Rogers. Similarly, the four-minute WILL ROGERS ROPE ROUTINE is a professional’s treatment of the latest techniques in rope magic, resulting in a crisp, tight, magical experience for even the most savvy audiences. In the tradition of the Masters of Magic series, and the Master Video Series, these routines are not for beginners—they are for seasoned pros and sleight-of-hand enthusiasts. All the explanations have been filmed from both the audience and performer’s view and taught with attention to detail (i.e., the whys and whens, as well as the hows). Plus, as a bonus, the DVD also includes some excellent magic from John’s close-up repertoire, using cards, rubber bands and finger rings.